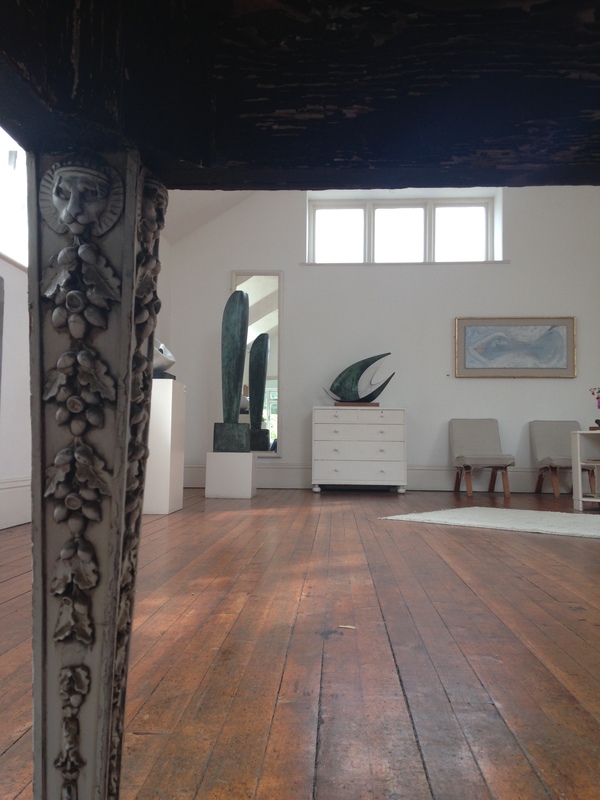 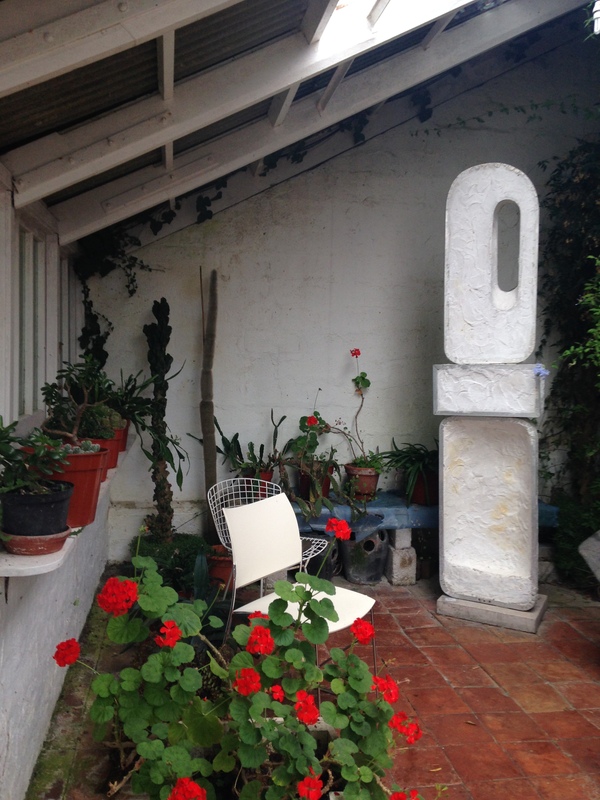 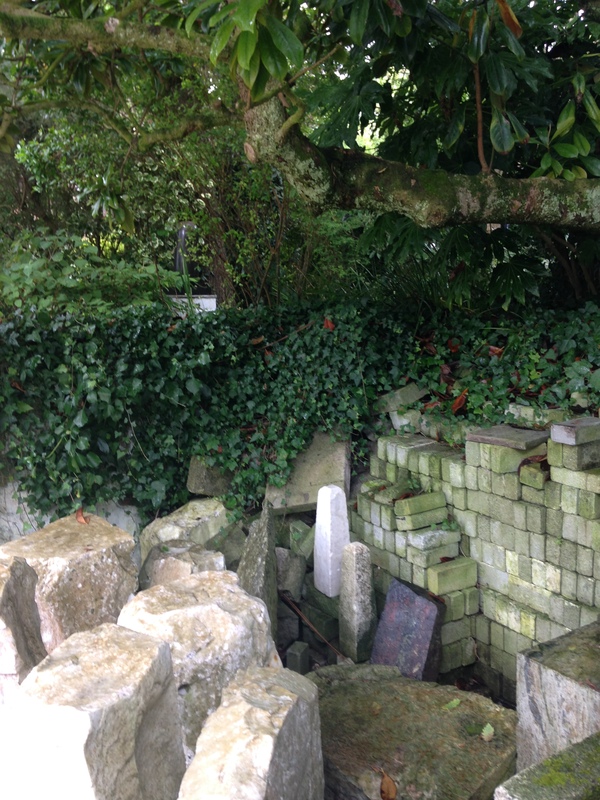 Visiting St Ives recently I managed to drag two, very unwilling, children up the hill to Barbara Hepworth’s studio. 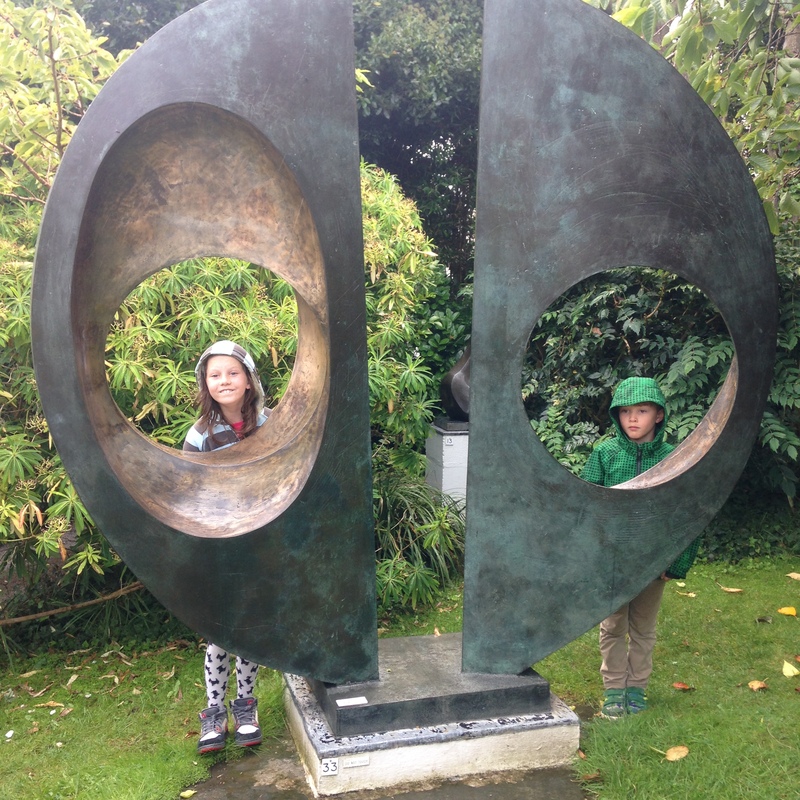 Having visited it many years ago I was telling them what an utterly magical place it was – luckily after only 5 minutes of wandering around they both wholeheartedly agreed with me. 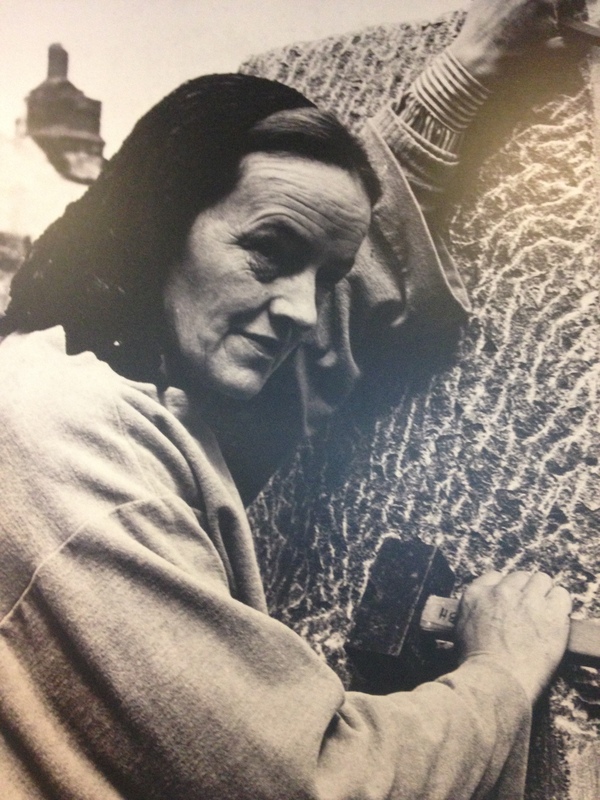 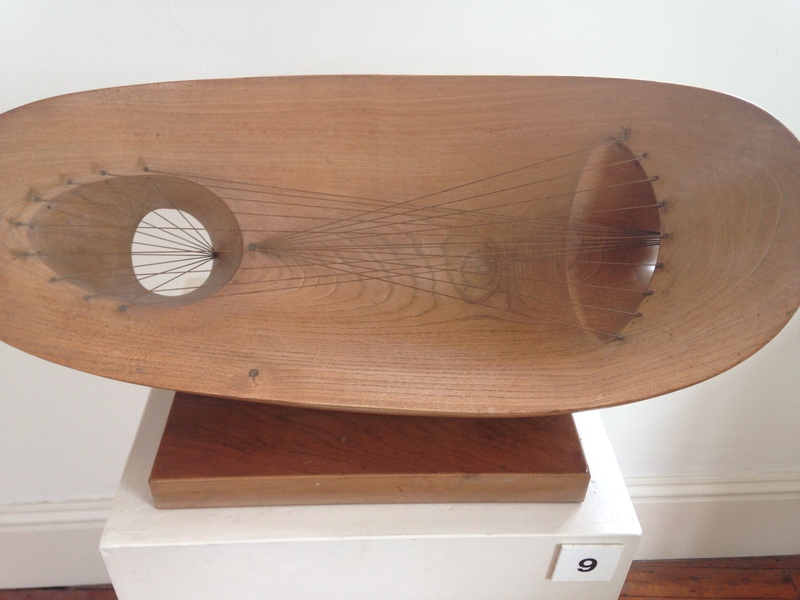 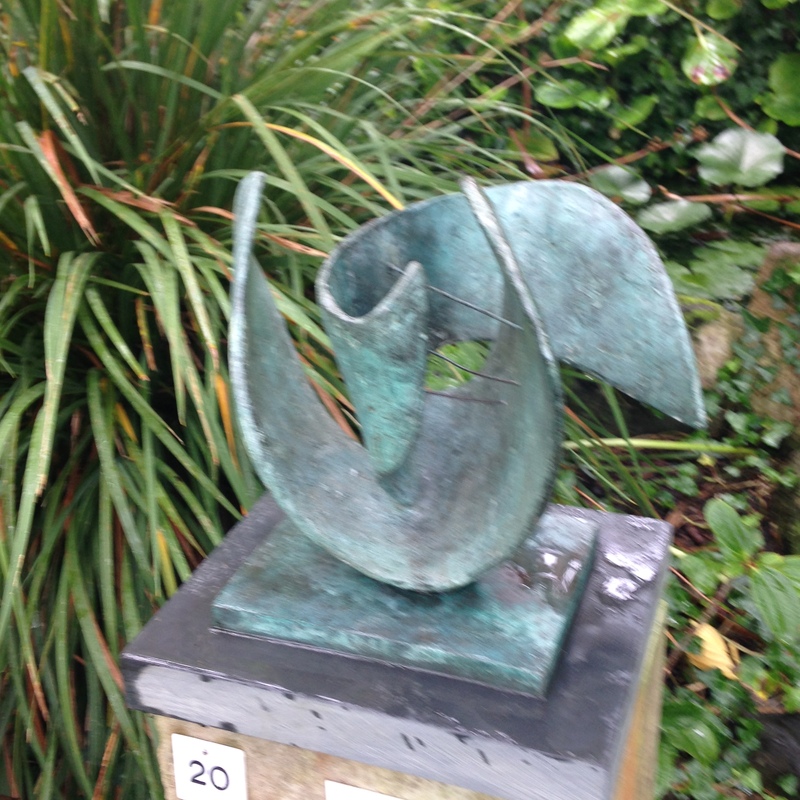 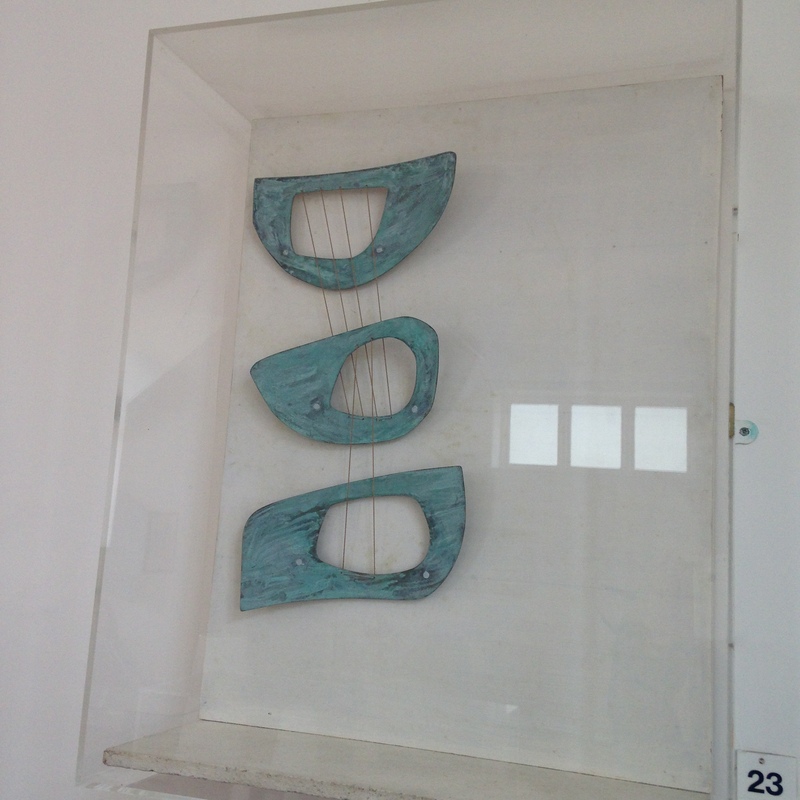 Barbara Hepworth, born in 1903, was an active member of the modernist St Ives movement in the post-war period. 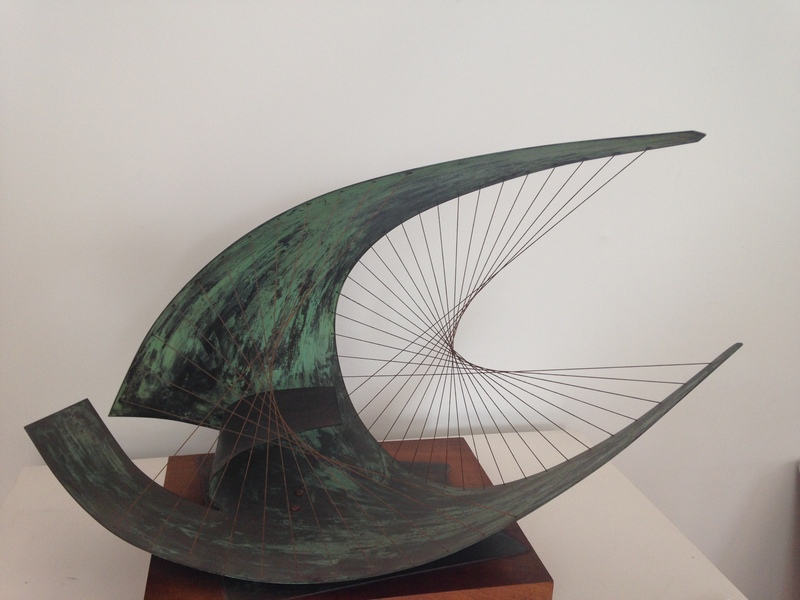 Her sculptures are bewitching: fluid, bold and begging to be touched. 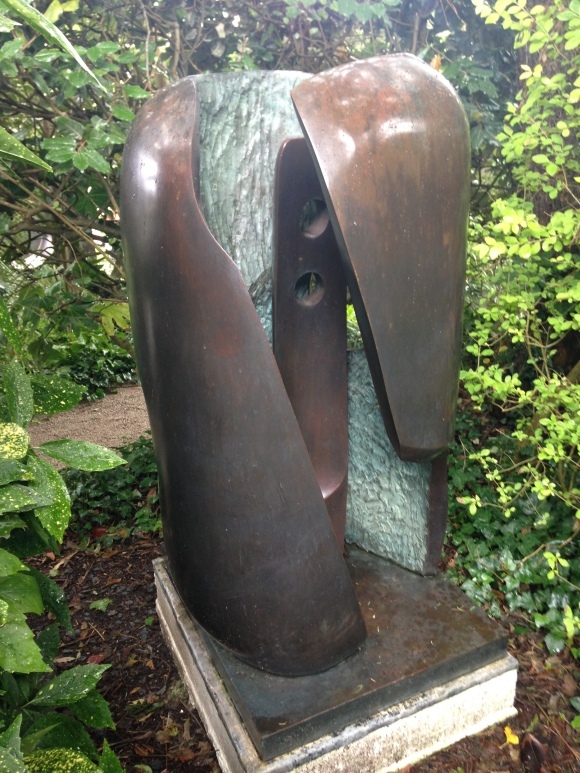 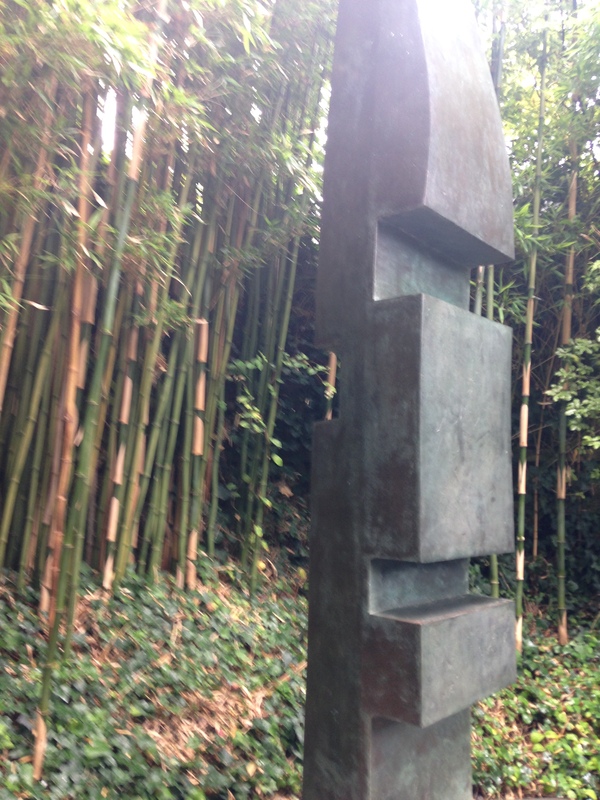 Using wood, marble and bronze, they speak to me in a way no other sculptures (apart from Anish Kapoor) ever have. 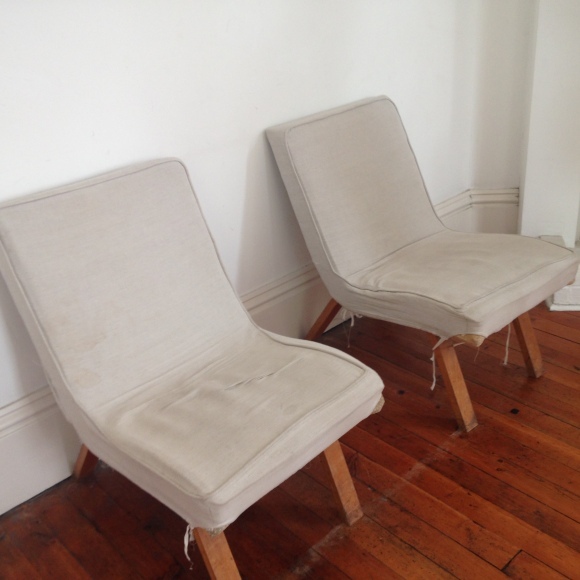 I almost emailed them to offer to re-upholster her chairs, but then realised that in their original state they are an intrinsic part of the museum! 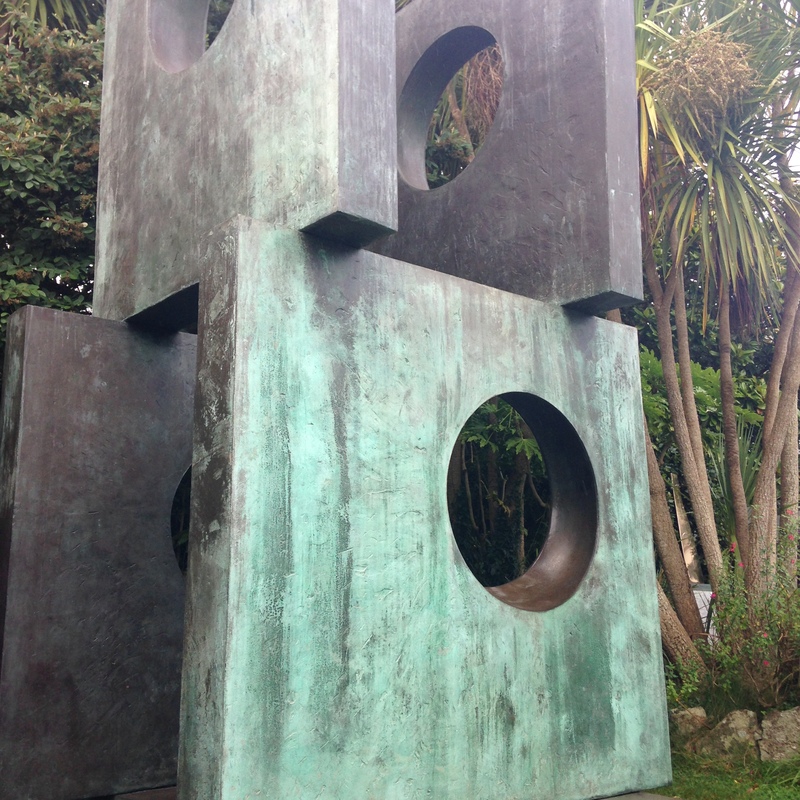 This sculpture has to be my favourite purely for personal reasons. 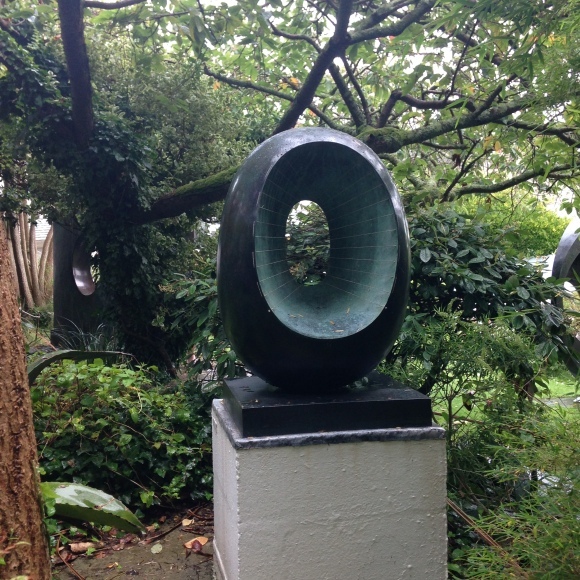 There used to be a very similar one in Dulwich Park, until it was stolen and melted down for its bronze – which to me is one of the biggest art crimes of all time – now no-one can enjoy it. 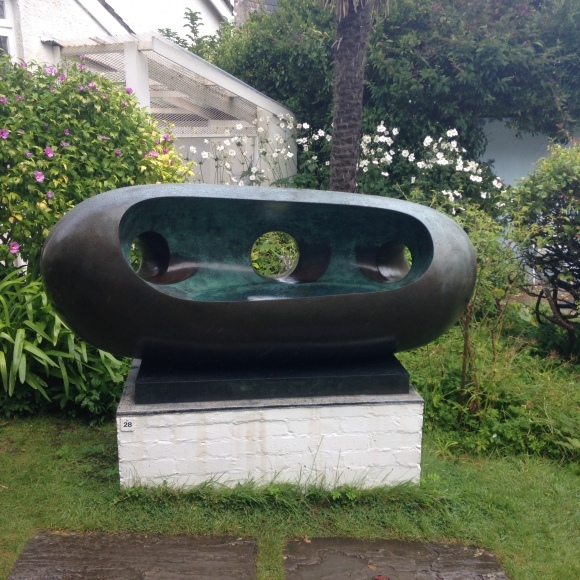 My children had sat on it over the years, with various friends and relatives and it became a marker of them growing up. 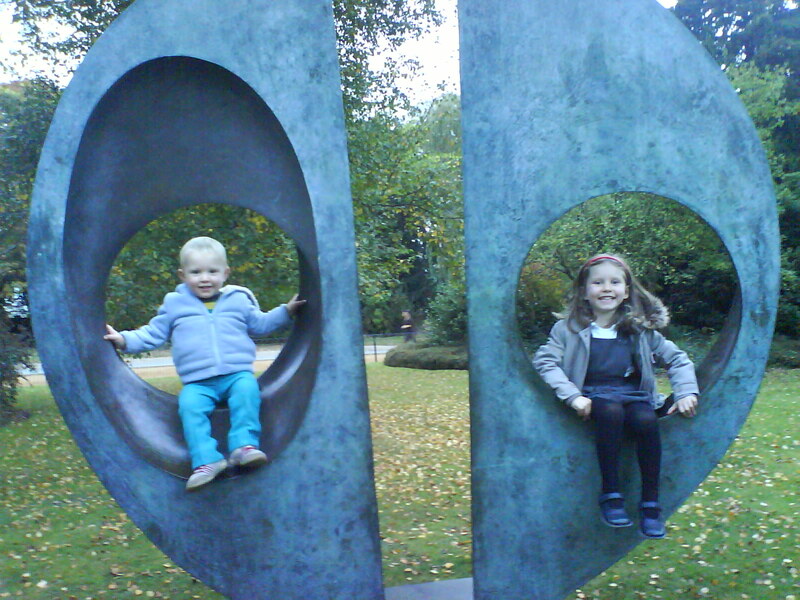 Here they are on our original one in Dulwich – a long time ago! 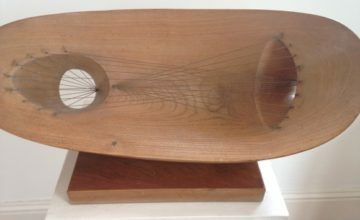 Below is a small selection of her beautiful pieces, I have now booked a weekend away in Wakefield to see the dedicated Hepworth museum up there. 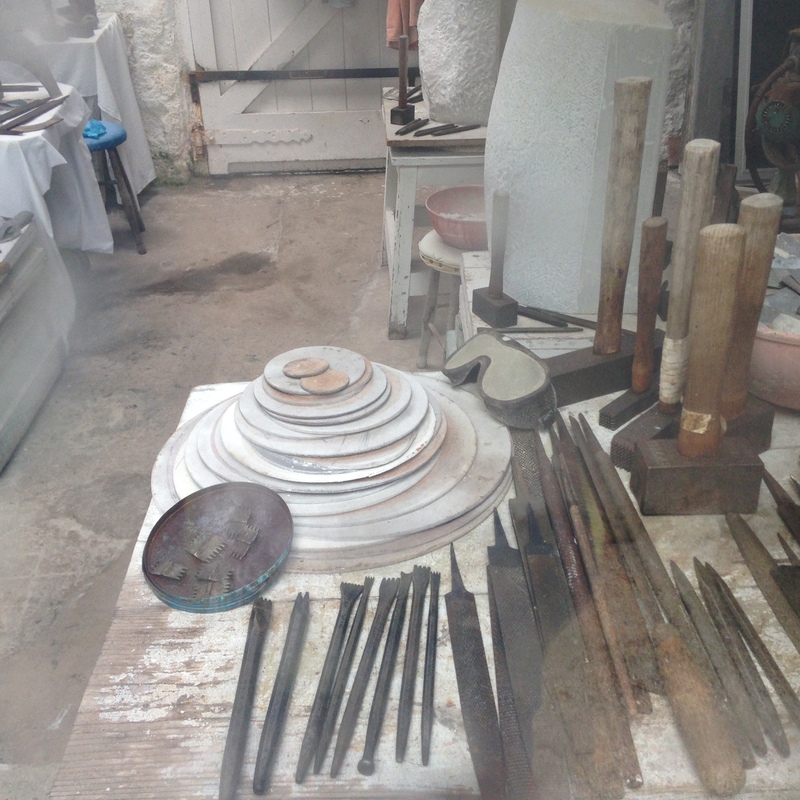 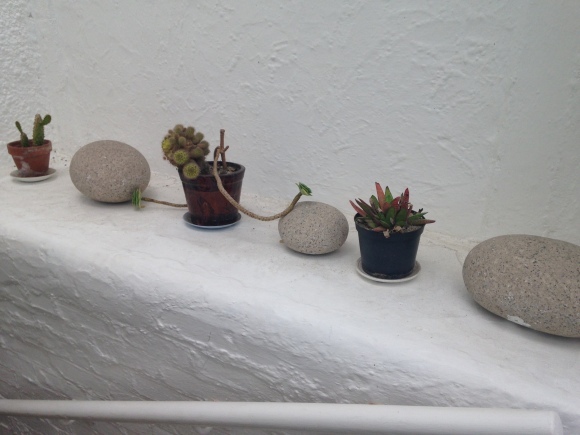 I do urge you to go to her studio in St Ives though, to see all her tools still laid out there and to appreciate the organic beauty of her work.